Running a ranch is a huge responsibility, so expect some adjustments and realignments in your personal activities and habits. You will have to set aside expensive hobbies, extravagant spending sprees, and major travel or vacation plans in the meantime. All your sacrifices will soon pay off when your ranch becomes profitable. For the meantime, concentrate on earning your sweet rewards a few years down the road, instead of claiming them right away. When starting out in the ranching business, make the most out of previously owned equipment, such as tractors and balers. Not only do these cost less than brand new ones, they also present excellent, practical ways to learn how to maintain and fix them. The best and easiest way to get the upper hand in the ranching business is by surrounding yourself with good people. Colleagues, neighbors, friends or even family can form a reliable community around you. These people will be instrumental in paving the way to success or in keeping you afloat during tough times. Strong social capital is also a great way to get into the ranching business. 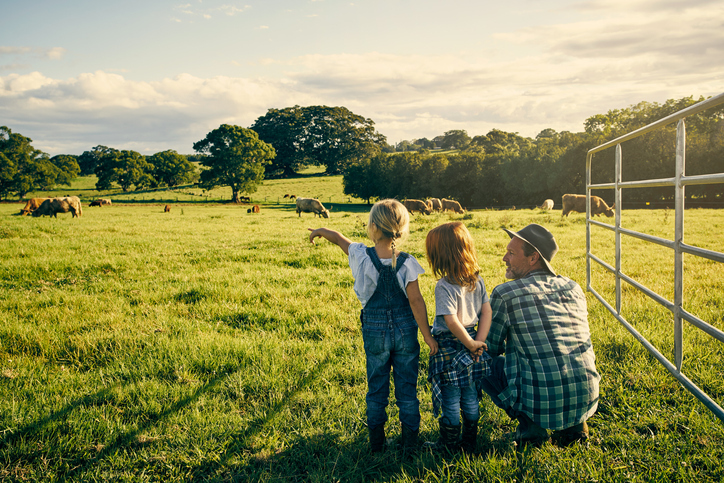 Building meaningful connections with older generations of ranchers in your area can help you get started in many ways – through first-hand training, trading feed or equipment or giving simple yet meaningful advice. This is a practical way to stay up to date on local ranching associations, conferences, and conventions that can help you expand both your knowledge and your network. Becoming a successful and prolific ranch owner entails a lot of learning, most of which must happen as you go along. You are bound to make mistakes every now and then, so prepare a healthy and resilient mindset that will enable you to bounce back from every setback. Having an open mind is key to this step, especially because you are bound to receive both advice and criticism from more experienced ranchers in your area. Talk less and listen more instead. From this, you will be better able to adjust and chart your own course toward growth and success. Financing your ranch land investment requires a trustworthy lender. Look for one who genuinely understands the demands and requirements of an agricultural venture. Look for openness and flexibility – within reason – to understand your property’s distinct circumstances as well. That way, you will have ample wiggle room if you encounter difficulties with your loan payment schedules. Let Desert Flower Realty be your number one resource for all your ranch property needs in South Texas. Give us a call today at 361-449-2051 or email DesertFlowerRealty(at)DesertFlowerRealty(dotted)com for more information.